Top 10 Reasons to Wrap Your Vehicle! 17 Oct Top 10 Reasons to Wrap Your Vehicle! If there aren’t already enough reasons to wrap today in this competitive market….here are 10 more! 10. PROTECTION: The vinyl used in vehicle wrapping actually protects the automobile’s existing paint job from the dings and scratches that come from normal wear and tear. 9. (AS) TEMPORARY (AS YOU WANT THEM TO BE): Vehicle wraps are easily removable without any damage done to the vehicle’s original paint job or body. So, feel free to wrap your leased or financed vehicles, too! 8. MODIFICATION: Updates and changes to existing wraps are painless and simple! 7. TAILOR MADE: There is no pre-set standard to the design that you can place on your automobile. Go all out. 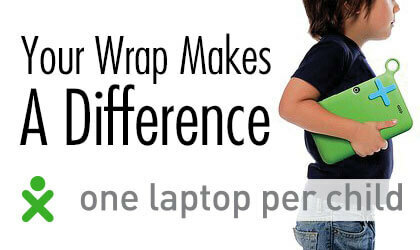 While other forms of advertising may limit color usage and ad size, wraps do not. 6. EMPHASIS: Your ad is all that’s there. You don’t have to share a page with a competitor or news article. The emphasis is on YOU. 5. TARGETED: Your own mobile billboard advertises your services as it goes; and it’s targeted to the markets you already serve. 4. 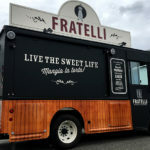 THE “WOW” FACTOR: Vehicle wraps make an impact! 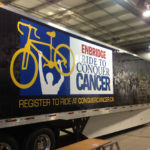 They’re not soon forgotten and based on a recent study, 80% of people exposed to a vehicle wrap remembered the message. 3. 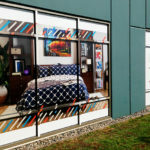 RETURN ON INVESTMENT: Compared to more traditional forms of advertising, vehicle wrapping is the most cost effective part of the promotional mix. While print advertising can cost more than $10,000 per year, a wrap for a portion of that, lasts three to five years (sometimes more!) and expressly reaches your target market. 2. MOBILITY: You take your ad to the customers; no waiting for them to leaf through the right magazine or watch TV at the right time of day. 1. CONNECTIONS: Vehicle advertising more often reaches consumers than traditional advertising media. For example, whereas 96% of North Americans traveled in a car, truck, van or bus in the last week, a significantly smaller portion read the Yellow Pages. Vehicle wraps receive anywhere from 50,000 to 150,000 impressions per month, depending on the market size. If you are looking for the most competitive and cost effective solution to advertise and market YOUR brand, then get in touch with Canawrap! 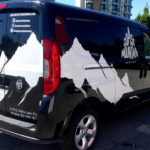 Vancouver’s first choice for vehicle wrap services!